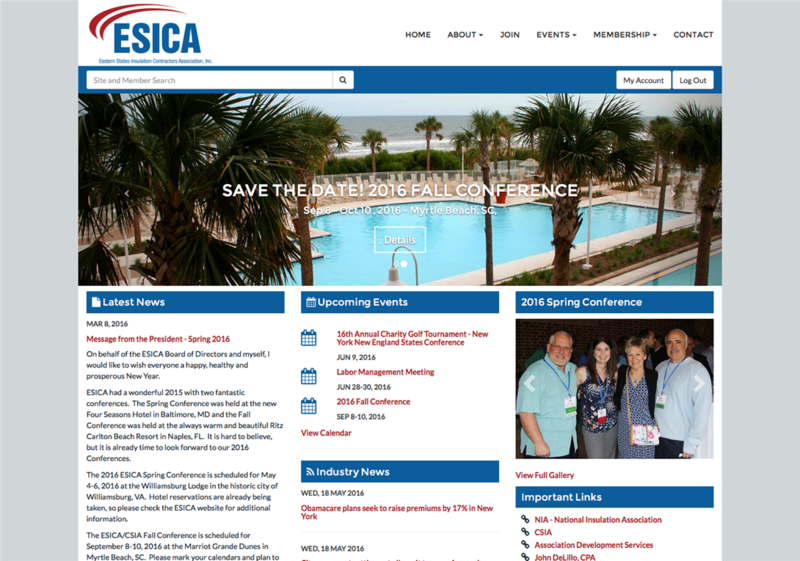 The Eastern States Insulation Contractors Association (ESICA) represents insulation contractors throughout the eastern United States. Their website includes membership management features that allow for members to manage their own profile information. Visitors can find member details via zip code and keyword search as well as grouped listings. The site also includes event management, allowing members to sign up for conferences, meetings and other events throughout the year.